The proposal outlined by the PM stated that EU nationals, who lawfully arrived in the country before Brexit, have the chance to build up the same rights to work, gain healthcare and benefits as UK citizens. Sputnik spoke to several EU nationals in London, asking them about their views on the deal and whether they believed they were being treated less favorably. ​One man, who works in a London restaurant and is originally from France, agreed with the European Parliament, saying he felt what was on offer to safeguard EU nationals was not good enough, and that more needed to be done. "It's not enough, this country is very different, it's difficult to live here. We are working minimum hours and we need to bring in money. The country is very expensive," the restaurant worker said. When asked if he thought EU nationals were being treated unfairly by the UK government, he said he felt that they were being treated like second-class citizens. Not everyone agreed however — some said the UK government had been fair in its treatment of EU citizens. "I am from Poland originally. I would say we are treated fairly." There are some EU nationals who are very worried about their current status and believe over the next few months this concern will only grow. "I am from Italy originally and I've been living here for quite a long time. I'm a bit worried about the next few months and years. They might change our rights, and if friends and family visit, they may need to apply for a visa. That is my concern." 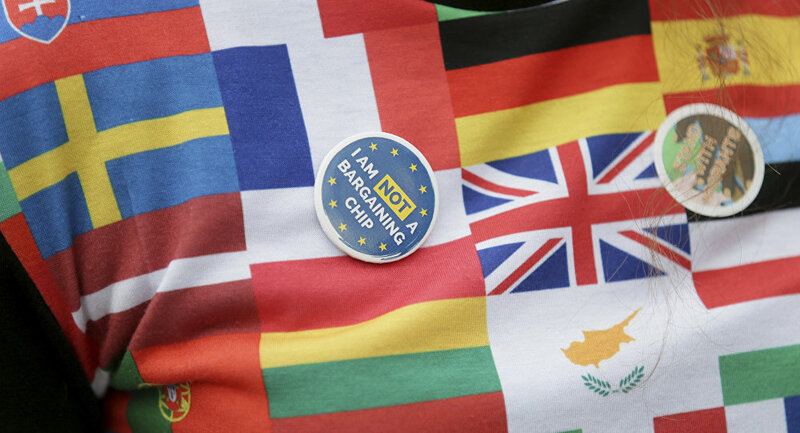 As Brexit negotiations continue, the future it seems is still unclear for EU nationals. The European Parliament have warned they will fight to ensure their citizens are treated fairly. MEP's have already warned that they will stop a Brexit deal if a better offer is not presented, which could be done if a simple majority in the European Parliament votes against the final terms of an exit deal.